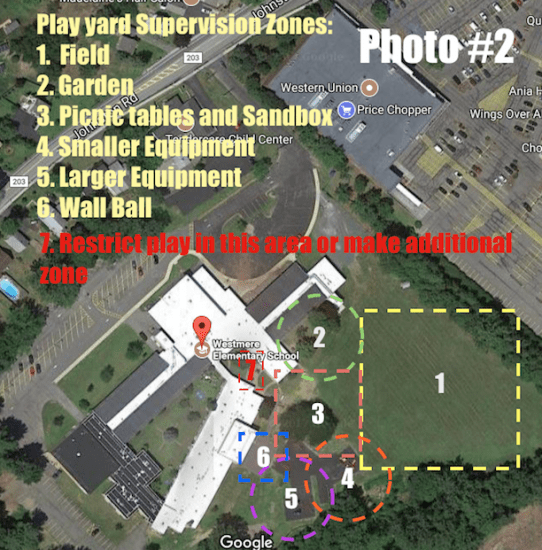 After a school playground incident involving a first-grade student, a child’s mother, Mrs. Romeno petitioned the local School Board to consider playground safety guidelines from Peaceful Playgrounds designed to keep all kids safe on the playground. The incident has turned the mother into an advocate for school playground safety at Guilderland. She presented the board with a petition signed by more than 175 Guilderland residents, calling for safety and security measures. The mother’s suggestions include recommendations for playground safety by the Centers for Disease Control and Prevention and included guidelines from Peaceful Playgrounds. Romano believes the district’s approach to playground supervision needs to become more formalized.